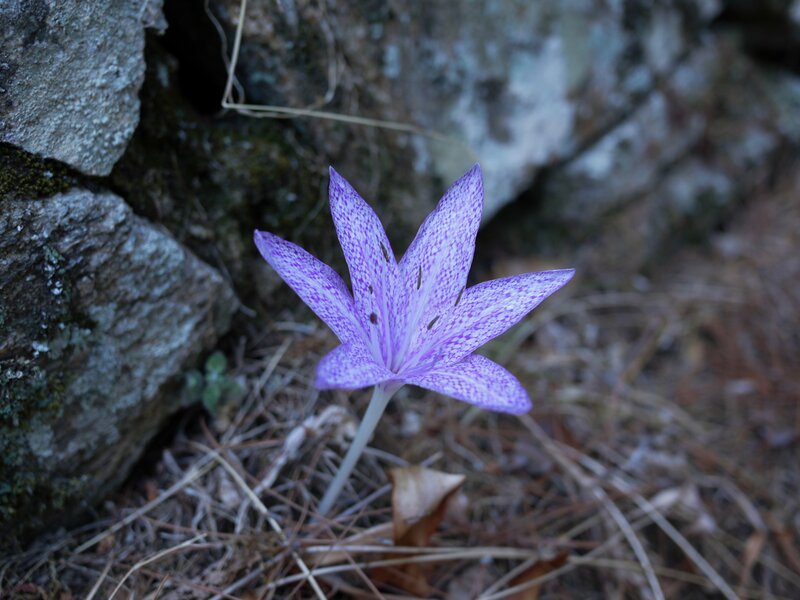 Colchicum variegatum or (vernacular) “Autumn crocus” or (vernacular) “Naked Lady” is a plant rich in colchicine, a potent poison with which Medea killed her children for revenge because their father Jason was unfaithful to her. As Medea was from Colchis ( today Lazistan, Georgia) scholars named the 20 plants of this species after her country. I say that so also we, when we see them, are reminded of the tragedy and we associate these plants, in spite of their beauty, with evil.